Travertine tiles are a popular flooring choice as they remain one of the most durable stone floor tile options on the market. With their comfortable and neutral color tones, travertine's roughhewn look adds texture and a striking appeal to any floor space. Ease of installation and upkeep makes this tile flooring option widely in demand. MSI offers this premium surface in over 35 color options. Foot traffic and how it is directed plays a role in maintenance and restoration frequency and techniques. 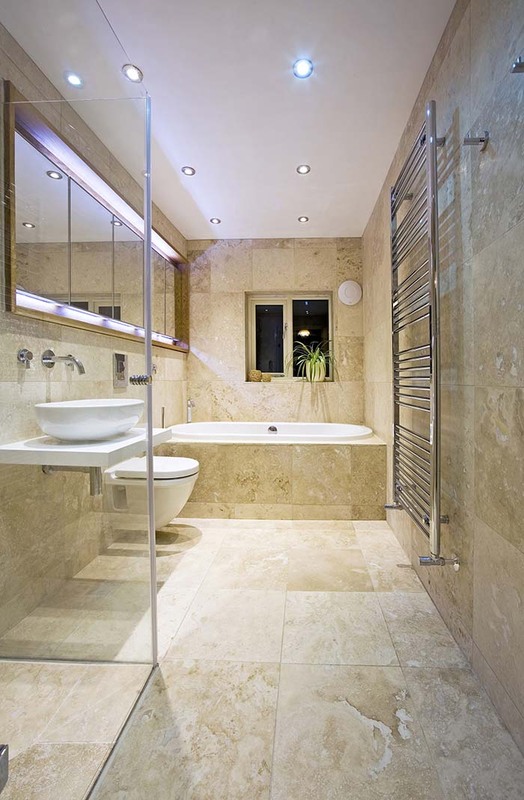 Because Travertine is soft, it will wear more rapidly than other stone surfaces when used in flooring. Thought must be given to the traffic patterns of the installation. Clean and nourish regularly with natural stone soap. In kitchen and food service areas use a neutral type degreaser periodically. Deep clean with non-acid/non-caustic cleaner periodically. Stain Removal ??? use a poultice. For smooth, honed surfaces, remove scratches, etch marks and deep clean surface with honing compound. Refill open holes that develop through normal use as necessary using cement or resin filler. Re-fill voids and holes that develop through normal use as necessary. Fill any open holes that develop. Use honing compounds for scratch and etch removal. Use polishing compounds for polished Travertine finish. Travertine is naturally susceptible to chipping. Repair of these occurrences is an accepted practice and should be expected. If material is supplied unfilled, large holes or holes that go through the stone should be filled. Repel bacteria, mold & mildew. Make the surface less slippery. Do not alter the natural look. Acid rain will deteriorate the stone. Chemicals in pools and fountains, etc. acid, caustic cleaners can affect the finish. Travertine can chip, crack, and loosen.